If you’re studying extremism among Somali-Americans in Minnesota, you may head straight for Cedar-Riverside—and you’d be wrong to do so. 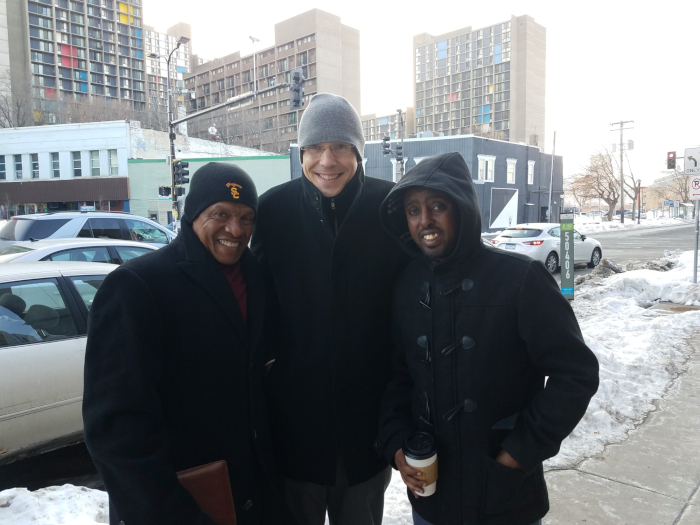 Dr. Erroll Southers and I recently completed a year-long research project for the Center for Risk and Economic Analysis of Terrorism Events (CREATE), investigating factors contributing to evident Minnesota Somali-American resilience to terrorist recruitment and radicalization. Southers and I have worked with the Minnesota communities since 2014, when we began investigating foreign fighter departures for CREATE. At the time, ISIS recruitment efforts were at their most aggressive, and in 2014, eight Somali-Americans left the United States to join the foreign terrorist organization (FTO). The Somali-American communities have been targets for FTO recruitment efforts for many years, but it is important to keep Minnesota in context. 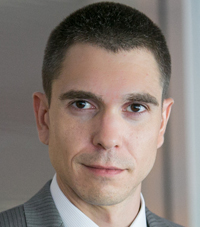 Nationally, between 2011 and 2017, 261 individuals were charged by the federal government with terrorism-related complaints (not only foreign fighter departures). Of these, 33 were Somali-Americans in Minnesota. This is 12.6% of the total number of individuals charged over 7 years. When it comes to studying these 33 cases and extremist recruitment in Minnesota more generally, there remains a common assumption that the people who crossed the extremist line lived in the Cedar-Riverside neighborhood. This is wrong, and more than that, the reverse is true. What and Where is Cedar-Riverside? The Cedar-Riverside neighborhood in Minneapolis is near the University of Minnesota campus and along the Mississippi River, which bisects the Twin Cities. There is a large number of Somali-Americans living in this neighborhood, due in part to the Riverside Plaza public housing, commonly inhabited by newly arrived immigrants (generally refugees). 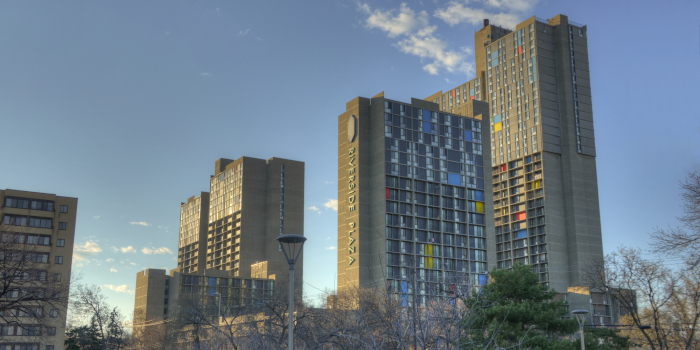 The Plaza towers officially house 4,000 people, but the true number of residents, according to community and law enforcement estimates, is closer to 10,000. In the area, there are also numerous Somali-owned stores, restaurants and other establishments. By virtue of such a high density of Somali-Americans living and working in a small geographic space, they are highly visible as an ethnic cohort. This can lead to the incorrect assumption that extremist recruitment threats to the state’s Somali-American communities are also densely present in Cedar-Riverside. Using open source research, it is possible to discover the addresses of 24 of the 33 Somali-Americans charged with terrorism-related activities at the time of their respective crimes. When these locations are plotted on a map, there is one region of the city heavily populated by Somali-Americans that is distinctly not home to past would-be attackers or material supporters: the Cedar-Riverside neighborhood. Rather, past extremist supporters and actors lived almost exclusively in suburban areas around the Twin Cities. Yet, when journalists are tracking down sources, or when counterterrorism researchers are looking for answers, or when other investigators who are not Somali-American drop into the community, they usually start in Cedar. (Admittedly, I did too, albeit some 5 years ago.) The faulty assumption that Cedar-Riverside is the epicenter of terrorist recruiting in Minnesota has cascading implications for effective counterterrorism research and understanding. Consider the ways in which the assumption that Cedar has a terror recruiting problem can hinder insight and conclusions. Assumption: Since terrorist recruitment occurs primarily in Cedar, and because Cedar-Riverside is heavily impoverished, economic struggles are a contributing risk factor for extremism among Somali-Americans in Minnesota. Truth: The 33 Somali-Americans charged with terrorism-related activities came from a variety of economic backgrounds. Some came from middle class families enjoying economic mobility. Thanks to rigorous data analysis by Dr. Gina Ligon and her team at the University of Nebraska Omaha (our partners in the 2018 research effort), we know that of the 33 individuals, some 57% expressed no frustration with finding employment. Indeed, only 6.7% were unemployed, the rest being students (53.3%) or in service or unskilled trades (40%). But looking at Cedar-Riverside, particularly in years past when unemployment in the state was far higher, one who assumes radicalization occurs predominantly in that neighborhood will draw the wrong conclusion as it relates to the risk factor of economic hardship. And to put a finer point on it, because the Minnesota Somali-American communities are generally impoverished (80% live in or near poverty), the fact that the 33 Somali-Americans were not necessarily in the direst financial conditions actually points away from economic hardship as a risk factor in Minnesota. Assumption: Since Cedar is an extremist recruiting hotspot, and because many refugees who are initially settled in Minnesota live in Cedar-Riverside public housing, Somali refugees are particularly vulnerable to extremist recruitment. Truth: Of the 33 Somali-Americans charged with terrorism-related activities, 56.7% were born in the United States. What is more, there was extremely limited family socialization of extremist ideas or a family history of extremist involvement (13.3%), meaning that those who radicalized came from families that did not permit or embrace extremist ideology. Thus, the Minnesota Somali-American refugee population is not uniquely vulnerable, and there is no evidence that extremist ideas are harbored by immigrants and passed on to American-born (or U.S.-raised) children. Assumption: Because there is a high density of Somali-Americans in Cedar, and because most recruitment happens there, Somali-Americans and Somali refugees generally are susceptible to extremist recruitment. Truth: Just like any other ethnic cohort, Somali-American communities are not homogenous. The challenges, priorities, concerns, activities and other factors specific to the Cedar-Riverside community are necessarily somewhat different than those of Somali-American communities elsewhere in the state, such as in St. Paul, Bloomington, St. Cloud or the wider Twin Cities metro area. If the Cedar community is assumed to perfectly reflect the entire Minnesota Somali-American population, then whatever solutions or plans are put in motion will not be tuned finely enough to address the challenges and risk factors specific to other communities. This assumption more broadly pathologizes Somalis, as if there is something inherent that makes Somali-Americans vulnerable to extremist recruitment. We need to divest ourselves of this foolish, sometimes xenophobic, largely racist belief if we are to truly understand terrorist recruitment in Minnesota. The vulnerabilities to extremism that we have seen among Somali-Americans in Minnesota are not due to their Somali ethnicity, their Muslim beliefs or their refugee status. If that were so, there would be Somali-American terrorists on every block. And there’s not. Looking to Minnesota, since 2015, there have been exactly zero Minnesota Somali-American departures to join a FTO, and there have been three homegrown attacks in that time committed by Minnesota Somali-Americans, none of which yielded victim fatalities. Beyond these insights specific to Minnesota, there is a larger lesson here for researchers, investigators and those working to foster resilience to extremist recruitment and radicalization: assumptions hurt research and the ability to develop effective solutions. The only way to rectify one’s ignorance is to speak directly and candidly with the people one studies, and doing that requires trust, enduring relationships, and collaboration. For all fieldwork, the principal focus should always be on studying and learning, rather than showing up with one’s assumptions and pre-determined answers, or as Southers calls it, “doing surgery before the exam.” There have been any number of “surgeons” who have dropped into Cedar over the years, scrubbed and ready to cut. But the truth of it is that Cedar is actually fairly healthy when it comes to resilience to extremism.